On the internet, there are several websites offering online games for seniors. Apart of it, many video game developing companies create amazing range of video games to make seniors feel busy and happy while playing games for seniors. These games are designed fully compatible to seniors as it benefits them in different ways. Knowing the physical condition of seniors, video game creators pay maximum attention on creating games that seniors can easily play and utilize their mental skills. For such brilliant reasons, numbers of seniors are showing interest in playing online or video games in their free time. This article will give you information about Wii games for seniors that provide unusual advantages to players. Wii sports resort game is one of the most advantageous and compatible games for seniors that is why, we can consider it in top wii games. 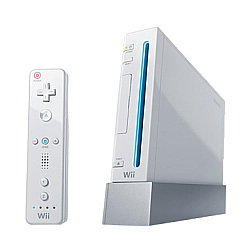 The game drew a great attention of media when first Nintendo Wii arrived among seniors and started assisting various living facilities. The Wii sports resort game mainly gets popular for getting players up and encourage them for games such as tennis, bowling and golf. It is a sequel game that provides 12 form of other mini games. The Wii Motion plus feature enhances the capability of Wii remote for tracking and the accelerometer improves overall game experience. The game forms like cycling, swordplay and basketball are truly brilliant games as it encourage seniors to get up and move. This is one of the most amazing games that helps enhancing the brain for seniors and such potential made this game listed to top wii games. It works greatly to sharpen the mind of players. It is a bit like Sudoku, crossword puzzles, reading or any other activity that stimulates the brain of the player. The Wii Degree – Big Brain academy features several mini games which examine the abilities of players in different categories like language, logic and math. Players can get scores on daily basis for their intelligence. This can be played individually as well as in multiplayer form. This game basically is a fitness title. It is also linked with several other mini games and Balance Board is considered as centerpiece of various mini-games. The game balance board is great for measuring up balance and weight. Involving in this game, a player can track down his or her weight by conducting body test. As earlier said that there are several mini games linked to Fit plus, so all of them do a great job to motivate seniors towards good health. Playing yoga and strength exercises can help seniors to make steady balance by doing yoga positions, crunches and pushups. 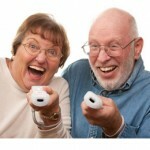 More than just a piece of fun, Wii games provide unusual health fitness and brain enhancement. 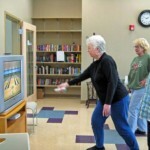 Providing detail for physical games, Wii games promote seniors to involve in games like tennis, baseball or so on.